ITC’s review of an ALJ’s order was not procedurally sound By Mengyi Wang – Edited by Sarah O'Loughlin Align Technology, Inc. v. International Trade Commission, No. 2013-1240, -1363 (Fed. Cir. July 18, 2014) Slip Opinion The United States Court of Appeals for the Federal Circuit unanimously vacated and remanded a decision of the International Trade Commission (“ITC”), finding that the ITC exceeded its authority in reviewing an administrative law judge’s (“ALJ”) order denying a motion for termination. Slip op. at 2. In so holding, the Court rejected the ITC’s attempt to characterize the ALJ’s decision as an initial determination, which would be subject to review. Id. at 12. The case arises out of two related proceedings. 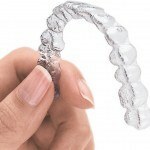 Align Technology, Inc. (“Align”) conceived of, developed, and marketed Invisalign System – dental aligners that treat teeth misalignment. Id. at 3. It owns patents that cover various methods and orthodontic treatment plans using digital data sets to create custom-designed aligners. Id. Align’s founder and former Chief Executive Office left the company and founded OrthoClear, Inc., OrthoClear Holdings, Inc., and OrthoClear Pakistan Pvt, Ltd. (collectively, “OrthoClear”) that manufactured and sold dental aligners. Id. at 3-4. Align then complained to the ITC that OrthoClear violated 19 U.S.C. § 1337 by “importing, selling for importation, or selling within the United States after importation aligners” that misappropriated Align’s trade secrets and infringed twelve of Align’s patents. Id. at 4. In August 2006, the parties reached a settlement, and the ITC entered a Consent Order that banned the importation of the infringing products and those “in violation” of the trade secrets. Id. In 2012, Align accused OrthoClear and its affiliated parties (“Intervenors”) of violating the Consent Order and filed a new complaint with the ITC for an enforcement proceeding under 19 C.F.R. § 210.75 (“the enforcement proceeding”). Id. at 5-6. The ITC issued a Notice of Institution (“the Notice”) that recommended the ALJ to consider whether the Consent Order extended to the accused products and to issue that decision using an initial determination. Id. at 7. Intervenors motioned to terminate the enforcement proceeding, contending that the Consent Order did not encompass the accused conduct. Id. The ALJ disagreed and denied the motion through an order, instead of the recommended initial determination. Id. at 8. Upon Intervenors’s request, the ITC determined that the order was in fact an “initial determination”—thus reviewable—pursuant to its Notice and ultimately reversed the ALJ’s finding. Id. at 9. On appeal, the Federal Circuit first stated that the “arbitrary, capricious, an abuse of discretion, or otherwise not in accordance with law” standard codified in the Administrative Procedure Act governs the standard of review for the ITC’s decision and that the agency “must abide by its own regulation.” Id. at 10 (citations omitted). Applying the relevant agency rule, 19 C.F.R. § 210.42(c) (2011), which requires that the ALJ shall grant certain motions via an initial determination and deny certain motions, including a motion for termination, via an order, the Federal Circuit concluded that the ALJ properly denied Intervenor’s motion through an order. Id. at 10-11 (citation omitted). In addition, since the ITC’s regulatory regime does not allow for review of the type of order at issue, and Intervenors failed to take advantage of the interlocutory review mechanism available to them, the ITC was clearly prohibited from reviewing the motion. Id. at 11. Furthermore, the Federal Circuit read the 2013 amendment to Rule 210.42(c) as buttressing its interpretation: while the amendment rendered the denial of certain types of motions an initial determination, the denial of a motion to termination an investigation was left intact. Id. at 13. The Court also cited ITC’s precedents that conformed to its interpretation as additional proofs. Id. at 14. The Court proceeded to reject the ITC’s contention that the Notice redefined initial determinations as encompassing a denial of a motion to terminate an enforcement proceeding, finding that the ITC did not articulate “good and sufficient reason” - mandated by 19 C.F.R. §201.4(b)- to pass the muster of invoking its waiver power. Id. at 15. Neither did the ITC prevail on the argument that the ALJ had mistakenly labeled its decision as an order; after all, the order does not bear the required information of an initial determination. Id. To conclude, because ITC circumvented its own rules without properly waiving, suspending, or amending them, the ITC’s decision was “arbitrary, capricious, an abuse of discretion, or otherwise not in accordance with law” and must be set aside. Id. at 10. Patently- O notes that Judge Chen and Chief Judge Prost will likely continue to propel the administrative patent law forward as the USPTO exercises its rulemaking authority and decides an increasing number of contested post-issuance review.